After all the Ramadhan buffets and lack of working out, I had gained weight a lot over the pass one month. My skirts became tighter and I looked so big sizes in all the pictures. I told myself I couldn’t let myself to gain weight, and I was determined to tone up and drop a few kilogram, hence I started to eat healthy and exercise again. 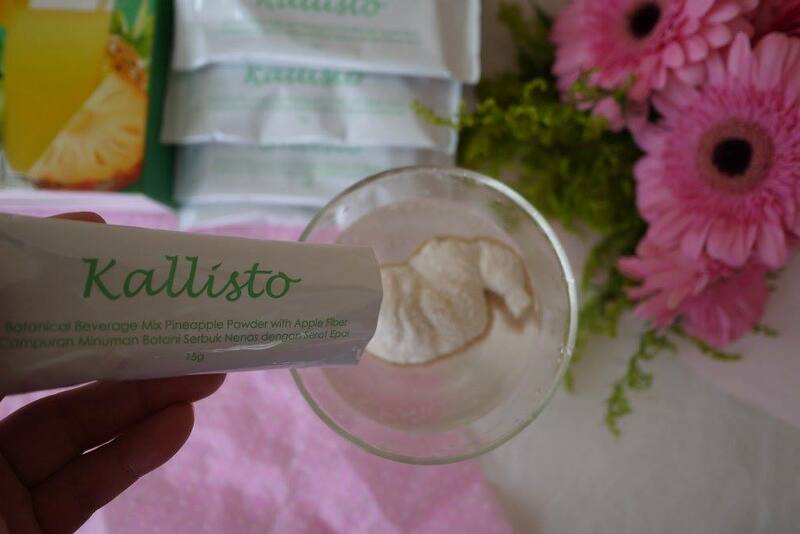 Every box of Kallisto botanical beverage mix pineapple powder with apple fiber contains 15 sachets of 15 grams each. I drink 1 sachet every night before I sleep. Easy to prepare, just mix one sachet with a glass of drinking water, shake well and drink immediately. It tastes fruity and refreshing and I like it a lot. Kallisto helps me to detox with its dietary fiber or what we may refer to as detox fiber is the key to detoxing our body with ease. Cleansing the colon is an important part of the detoxing process because those toxins need to exit the body. The biggest thing that detoxing helps with is allowing the body to rid itself of any excess waste it’s been storing. 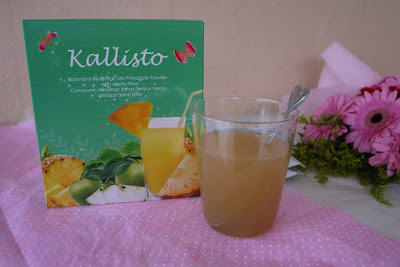 After drinking Kallisto, I find it easier to pass motion and most importantly, I have lose 2 kg after consuming one box. Isn't this amazing as I did not do anything else to lose 2 kg in 2 weeks time?! 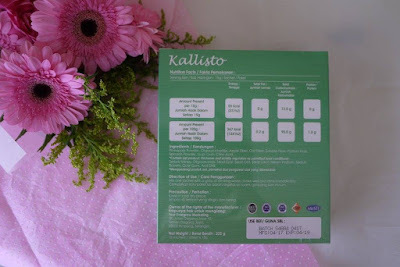 According to Kallisto, it is suitable for People who suffering from constipation, haemorrhoids; Weak immune systems group; Premature aging and frail; people who are having skin issue such as age spots, freckles and acne; Insomnia, liver and intestinal function unfit; Menstrual disorders or Pre-menopausal women; people who are suffering from various chronic diseases; Prevent three highs (diabetes, high blood pressure, cholesterol) risk group and also people who often taken alcohol. 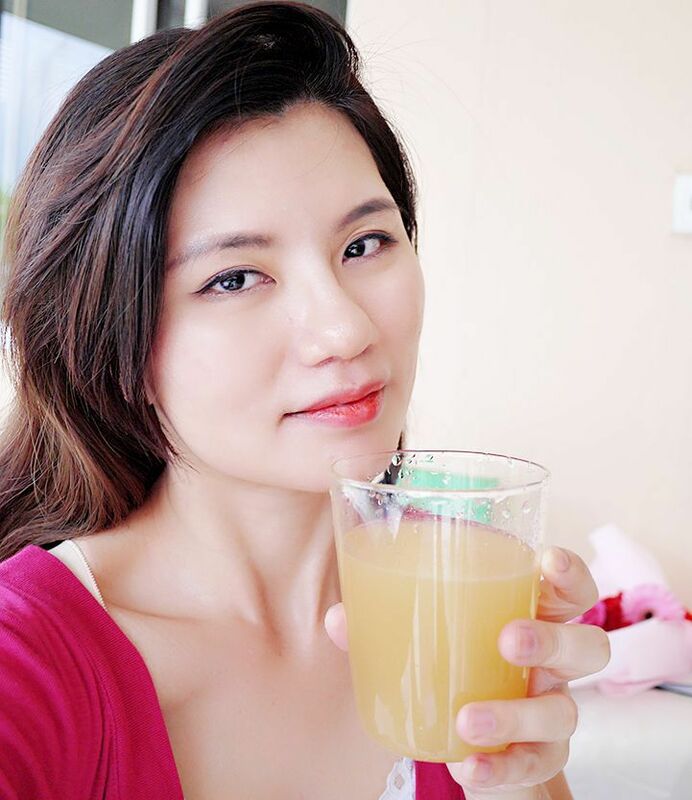 Pineapple powder, Oligosaccharide, Apple fiber, Oat fiber, soluble fiber, Psyllium husk, Spinach powder, Guar gum and Citric Acid. Kallisto is Formulated in KOREA , it has been KKM Registered. 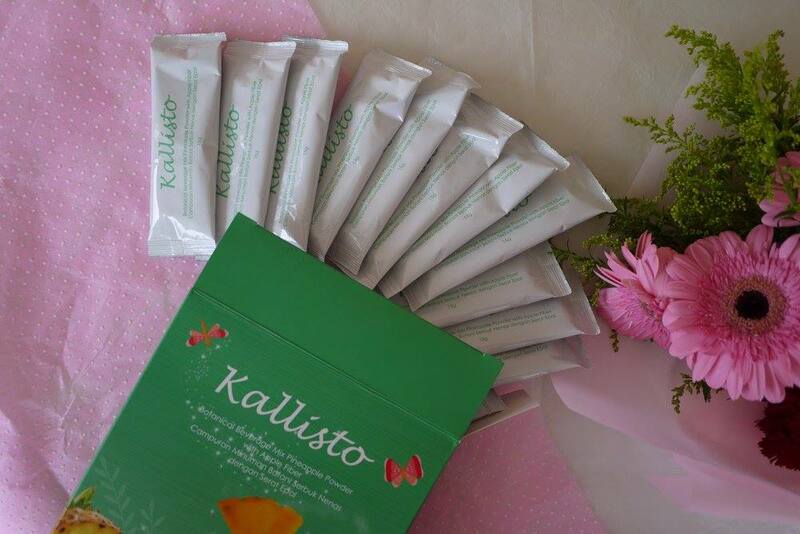 Say bye bye to constipation with Kallisto as it is soluble and effectively help digestion. Let’s get our tip-top shape with Kallisto today. To buy, contact Ashley at +6-012-6566561 or add her at Facebook at 520ashley. 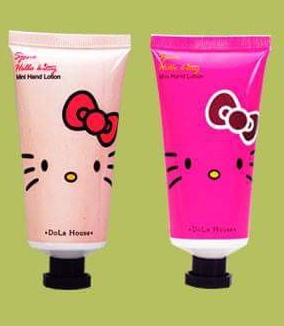 Good news for my readers, mention my name 'Ranechin' while purchase to receive a hello Kitty hand lotion for every box of Kallisto purchased. Enjoy your detox journey with Kallisto, XOXO. New products to me but no harm to try seem it helps for lose weight. Thanks for sharing. Detox drink together with exercising will make a good combi! Wau, 2kg in 2 weeks time is amazing! 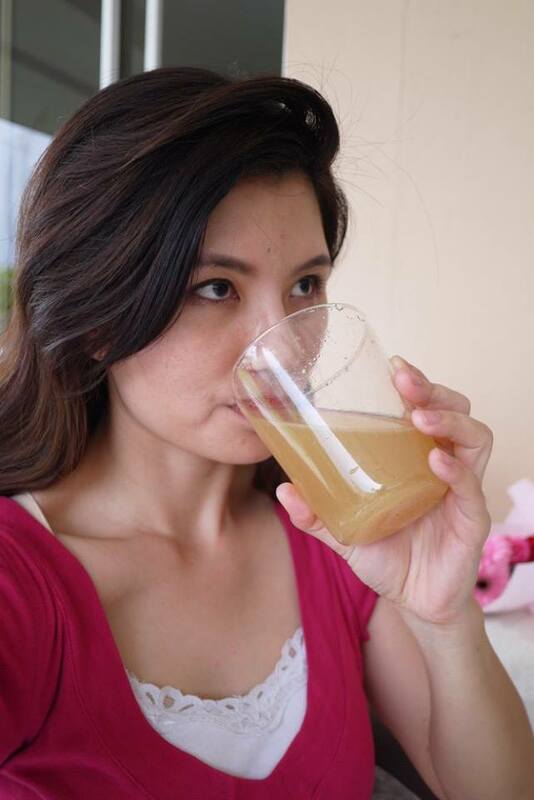 Do you have to control your diet by drinking this? Anyway, I am doing balance diet of Keto diet (LCHF) hoping to shape back as soon as possible after delivery.... Let's gambate together! Wahhh this product so good? Need to try thia too. Wow that is fast, the drink looks delicious too. 2 kgs in 2 weeks? That is fast! 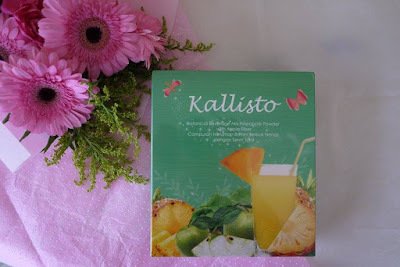 Now you make me wanna check out Kallisto too. I'm giving special promotion for Rane's followers ya!